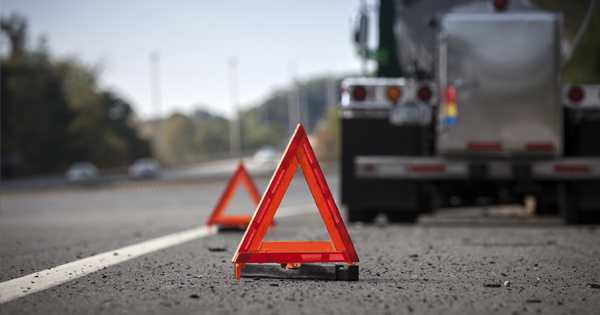 When operating a semi-truck, breakdowns, at one point or another, are often inevitable. The reality of the situation is that truck problems can happen to anyone at the road at any given time. No trucker, no matter how stupendous they are at their trucking job is completely impervious to problems on the road. However, a truly remarkable driver knows that regular preventative maintenance is key to doing all one can do in order to prevent difficulties one may have on the road. Regular tune-ups and inspections are key to combat technical problems with one’s truck. Nevertheless, even the most diligent driver may face problems down the road. It’s important to have a plan in the event of a breakdown rather than simply thinking that a breakdown will not occur at all. What Are Some Major Reasons Trucks See Breakdowns? Just like a passenger vehicle, big rigs can experience a myriad of problems that range from small issues to major faults with the vehicle’s system. And just like passenger vehicles, commercial vehicles face certain problems that other classes of automobiles do not. The following are some of the most common issues that trucks may face when they experience breakdowns. Tire trouble: According to the Technology and Maintenance Council (affiliated with the ATA) reports that one of the most common problems that trucks face are tires that experience a flat, are losing tread or are otherwise misaligned on a vehicle. Accounting for 53.5% of roadside incidents, tires may cause the most problems, as they may also be the most preventable aspect of breakdowns in trucking. Cooling Systems: Cooling systems complications can happen nearly anywhere, but they may be more prevalent in locations like Texas where a driver is frequently running hot. Still, even the chilly winters of Michigan face cooling problems, as it is more of an internal engine issue rather than an exterior problem associated with the weather. Monitoring one’s engine coolant levels is an excellent way in which to prevent these problems, as is looking into the oil levels in the truck. Brakes: Much like tries, many drivers report brakes as a major vehicle issue. Brakes are reported to comprise close to 30% of incidents on the road, and it is no surprise considering how integral a component brakes are to the overall well-being of a vehicle. Truckers so frequently expose their disc and drum brakes to unparalleled levels of heat, friction and pressure, causing them to wear out. Fuel Issues: It may seem obvious, but breakdowns can be swiftly avoided if the proper level of fuel is maintained. A great deal of accidents within truck driving jobs occur when fuel levels are not properly maintained, causing a truck to truly run on empty. A simple pre-trip inspection would easily resolve this issue for drivers altogether. Failing Engines: Though engines in semis generally have the capability to last longer than a passenger vehicle, they will eventually face the fate that befalls nearly all machines. As an engine runs for years and racks up miles on the road, it faces mechanical fatigue and may be subject to nearing the end of its lifespan. Engine problems can occur at nearly any point in the lifetime of the engine. However, when an engine begins to fail entirely, there is very little that a driver can do for his rig other than retire the truck altogether. These are only a few of the problems that consistently plague trucks. Though they are not all of the problems that drivers face, they are perhaps easily detected and avoidable in some regards. How Can Drivers Reduce The Odds of A Breakdown? One of the most common and practical ways in which drivers can prevent a possible breakdown is through pre-trip inspections and regular preventative maintenance. By employing both of these proactive measures as part of a trucking routine, drivers can help identify potential hazards before they become a potential danger on the road. While pre-trip inspections can be completed by the driver themselves, using their practical knowledge of how a truck should operate and what appears normal as far as an operational vehicle is concerned, preventative maintenance is a different story. Unless the driver finds themselves to be a skilled mechanic, they will have to consult a technician at certain intervals of the truck’s lifespan in order to ensure everything is functioning optimally. 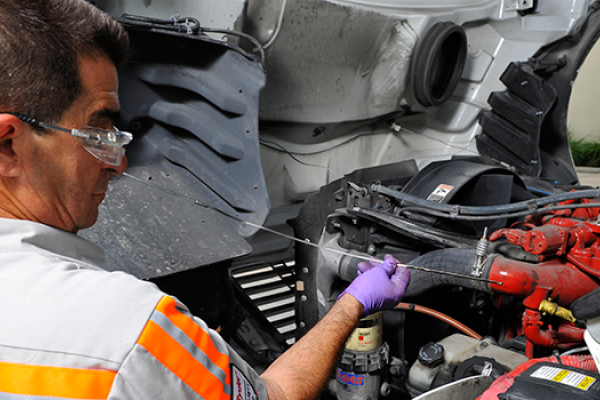 Many trucking companies have a staff of mechanics on hand to help a driver diagnose issues with their vehicles, while owner-operators may need to seek the expertise of technicians in their area. Ultimately, a driver should know when to ask for help. If their truck does not seem to be driving well or if they are experiencing issues that they can feel while on the road, a driver should speak up. Mechanical problems do not have the ability to fix themselves – they must be addressed in order to be fixed. My Truck Broke Down – Now What? Even the drivers who treat their rigs like royalty an experience a breakdown. Rather than experiencing a meltdown or losing your composure in this type of scenario, it’s important to stay calm, professional, and above all, safe. - Pull Over: The first piece of advice that drivers who have experienced this trouble will recommend is to pull to the side of the road in order to clear the highway or roadway in order to let regular traffic flow. It’s also important to pull over to avoid any further damage that may be caused by another vehicle crashing into your rig. – especially when road traffic is heavy like in California. - Visibility Equipment: All drivers know that carrying the proper visibility equipment is key to ensuring that other motorists detect you on the road as a potential hazard. For the daytime, safety triangles are incredibly important to utilize. The evening hours, and rainy or hazy weather found in Florida will also recommend reflective equipment, whereas flares are also a valuable tool after the sun has set. - Know Who To Call: Upon experiencing a breakdown, company drivers should have the number of the appropriate department to call in order to inform their carrier of the incident. A company will determine how severe the incident is and move forward accordingly. Independent contractors should use a mobile device to look up local a towing company in to get their equipment to a proper facility and to get themselves to a suitable place to stay. Experiencing a breakdown is not the end of one’s career nor does it spell unspeakable doom in one’s career. There is no one tool that is markedly more invaluable to drivers than others if they have truck difficulties. With that in mind, keeping a wide array of tools handy can prove to be helpful in multiple situations. Below are some tools that frequently help drivers who may face difficulties on the road. This is, of course, just a short list of items that can be essential to a driver’s well-being on the road. Drivers should assess how they spend their time on the road and what potential hazards they may face in their daily routines and modify the materials in their toolkit. One of the cardinal rules of diligent driving is to never operate a vehicle that you feel may be substandard or that may prove to be unsafe on the road. No company can legally force a driver to take out equipment that may be unsafe or that can potentially prove to be a hazard on the road. With this in mind, drivers need to be vocal about their concerns to dispatch or fleet managers. It does not make sense for a driver to take out a rig that they know could be trouble thinking that the condition of it will improve or that it will suddenly become acceptable to drive. Don’t endanger your life and the lives of others and potentially harm the client simply because you were told to do so – use your common sense and determine what constitutes a safe situation. A great deal of breakdowns can be avoided by practicing diligence in pre-trips and regular maintenance. Drivers who are with a company (as opposed to owner-operators) frequently have a wide array of resources in which to receive regular tune-ups and to consult technicians who know all about semi trucks. Drivers should not necessarily focus on the mindset that accidents are completely avoidable, but rather, that incidents on the road can be dealt with in smart and practical ways rather than resorting to some sort of nuclear option. Technical difficulties may be a problem that frequently plagues the industry no matter how advanced the equipment becomes. What can remain constant, however, is the driver’s approach to how they react to a certain situation. Keeping a cool head, knowing who to call and being prepared can make all the difference in an otherwise hairy situation.